There are millions of books spread over the world – in hundreds of different languages, on any topics. Even though they differ by subject area and language, books mostly have one thing in common: They will be read once; afterwards they gather dust on the bookshelf. Today, we will show you how you can give seldom read books an exciting life again. The secret is:book sharing! The principle of book sharing is as simple as several other concepts of the sharing economy. A book, which is not in usage at home should benefit others. There are various methods for sharing: Lending, transmitting, changing or giving away. The perfect place for that are book markets, on which you will find kindred spirits for example on the internet. How does this work? Check it out – we prepared a short overview for you! The prime idea – releasing books! You can ‘forget’ your book in a café, on the subway, or lawn in the park. By this type of sharing the books are totally left to chance. Therefore, big cities are particularly suitable for that. It will be assured that the book will be picked up by one of the numerous passers-by. Similar, however, with a fixed location work so-called book-boxes, street-libraries, public book cupboards or shelves. You will find book-boxes both in public places like churches and places with high traffic of transients like hostels. There, it is possible to pick up books without paying anything. But of course, it is really welcomed and also pleasures the next one, when you change books. The advantage of this book-box is clear: You know exactly where to go looking for your next read. Several book sharing platforms, like for instance Bookelo, use a different approach. These networks are comparable with huge libraries, which are decentralized. Books are not exchanged, but rather lent or given away. As a member you are able to offer your own books online for rental and browse through sample of other members. Usually the platforms are for free and offer you as easy as pie access to a wide range of books. If you have a book you would like to give away, you can register it online. Then you receive an ID-code, which you can attach with a sticker inside the book. Now you have several options to send your book on a journey, for instance pass on, put in a bookshelf or release. By “release” is meant, to leave the book in one place for the next one. 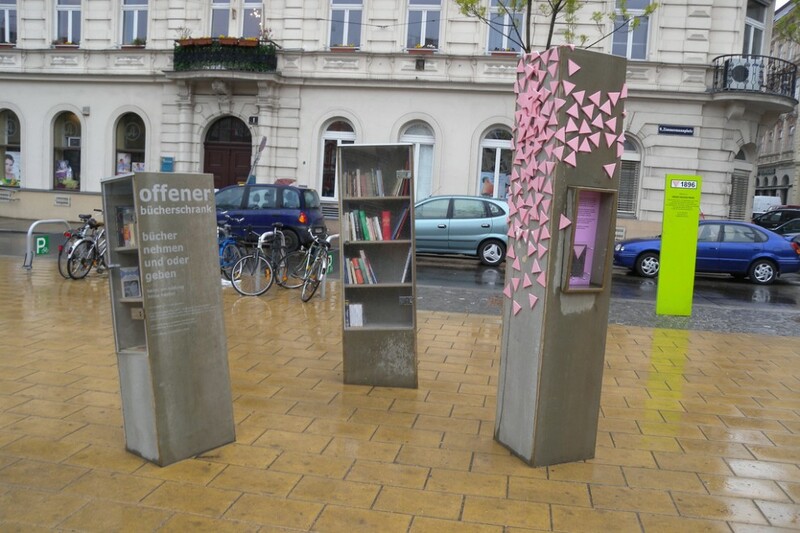 You can leave your book where you want, but there are Official BookCrossing Zonen (OBCZ), meant places or areas, where books are often released or captured. So, it makes it easier for hunters and gatherers to find your books. After you have caught (well, collected) a book, you can enter the ID-code on the BookCrossing-homepage and announce that you have found the book. By using the entries on the website the former owner is able to follow, by whom and where his book was read. Some books stay always in the area, others travel around the world. 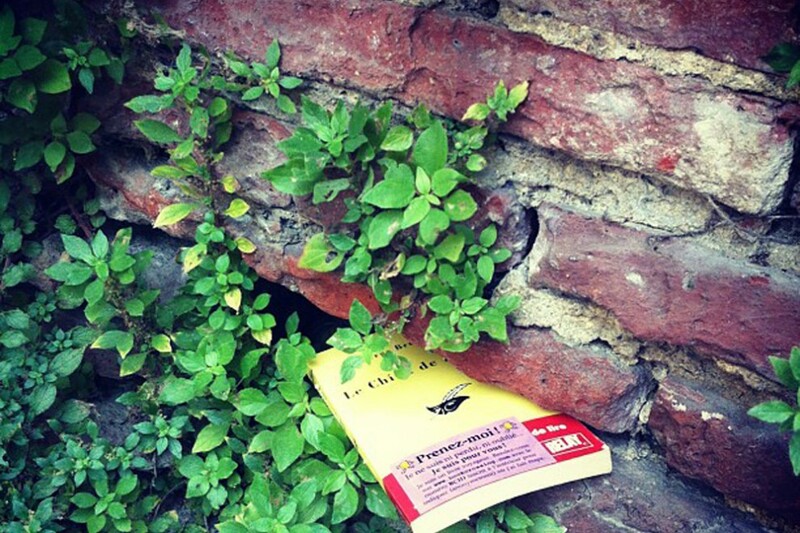 More than 7 million books are registered on BookCrossing, and more than 900.000 BookCrossers are located worldwide. If you also know other concepts of sharing books, then we are looking forward to your comment!